Wow. It’s finally The Day. 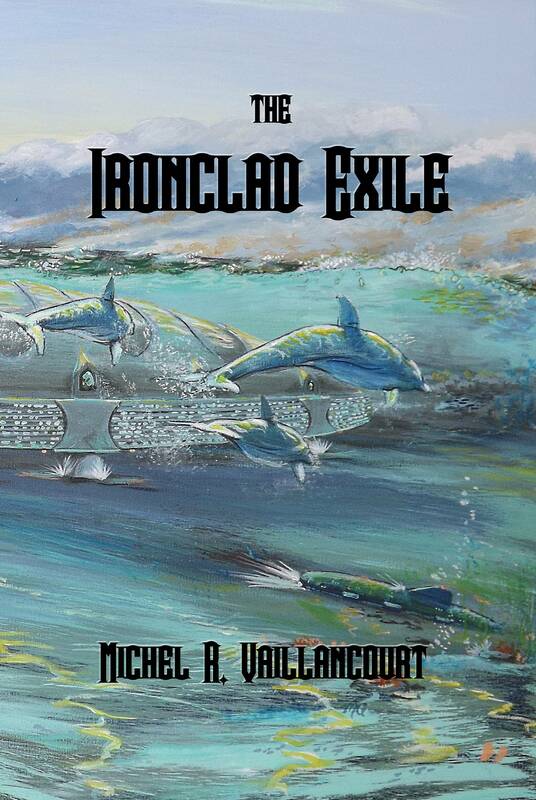 Ladies, Gentlemen and Non-Binary readers, allow me to introduce to you my new book, titled “the Ironclad Exile”. The artwork is by the remarkably talented Michael J. Gallant. You can catch up with him via his Facebook page at https://www.facebook.com/MichaelGallantArtist/ … he’s very good to work with. I heartily recommend him to other artists looking for covers. 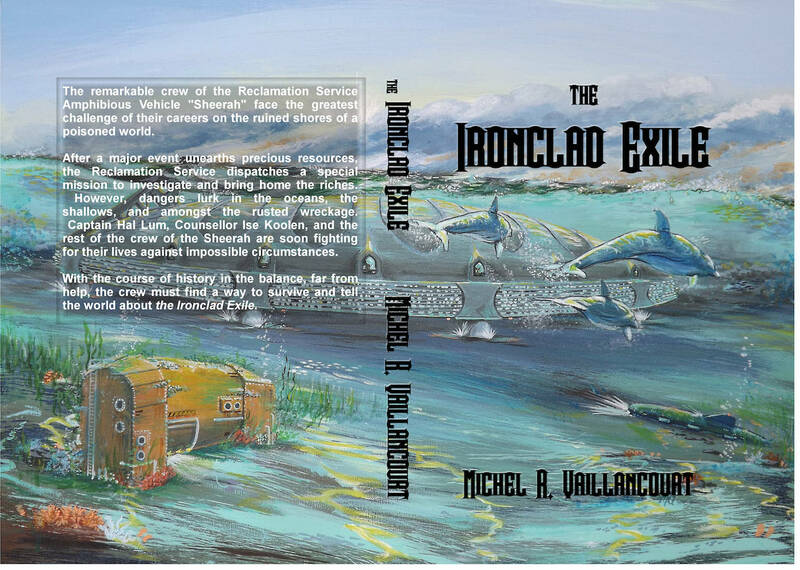 The remarkable crew of the Reclamation Service Amphibious Vehicle “Sheerah” face the greatest challenge of their careers on the ruined shores of a poisoned world. After a major event unearths precious resources, the Reclamation Service dispatches a special mission to investigate and bring home the riches. However, dangers lurk in the oceans, the shallows, and amongst the rusted wreckage. Captain Hal Lum, Counsellor Ise Koolen, and the rest of the crew of the Sheerah are soon fighting for their lives against impossible circumstances. With the course of history in the balance, far from help, the crew must find a way to survive and tell the world about the Ironclad Exile. 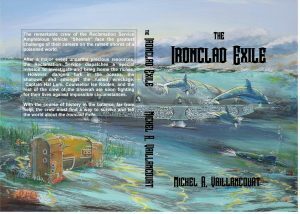 “the Ironclad Exile” is now available for pre-order via Amazon. Official release date is 05 February, 2018. I hope you love it and share it with your friends. 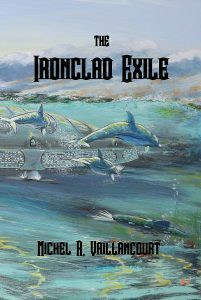 This entry was posted in Author Space and tagged Cover Reveal, the Ironclad Exile, writing by MichelV69. Bookmark the permalink.